The mention of the name “antichrist” sends a chill up the spine. 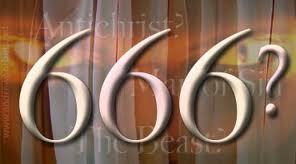 Antichrist is normally associated with the number “666′ and Armageddon from the book of Revelations. The word anti-christ however is not found in the book of Revelations. Jesus never mentions the word antichrist. But in his answers to the disciples questions concerning the destruction of the temple, the sign of His return, and the end of the age he describes the spirit of antichrist that is to come in the future. Matthew 24:11, Many false prophets will arise and deceive many. “My children, this is the final hour. You have heard that the antichrist, the greatest enemy to His kingdom, is coming, but in fact, many antichrists are already here. This development tells us how late it really is”. It appears that John is not primarily concerned with who the antichrist might be or when he will appear “You have heard that the antichrist, the greatest enemy to His kingdom, is coming” but with the danger presented by the antichrists who were already present. What can we learn from his warning in our present age? “We are coming to the end of all things, so be serious and keep your wits about you in order to pray more forcefully”. John, Paul and Peter all point to a closing of history that is drawing near. If it was close 2000 years ago it is even closer now. It is a time to be to be serious and prayerful, to be aware of what is going on around us. It is important that we take the admonition given in 1 Thessalonians 5:21 seriously. “Take a close look at everything, test it, then cling to what is good”. In 2 John 1:7 he writes “The corrupt world is filled with liars and frauds who deny the reality that Jesus the Anointed has come into the world as a man of flesh and blood. These people are deceivers and antichrists”. Finally in the little book of Jude we see that our faith is something we will have to contend for. This word implies a struggle, to compete or contend with an adversary. and the authority of His Anointed One have come. has been cast down and silenced. For they did not hold on to their lives, even under threat of death. Thank you, Cliff, for this reminder that the anti-Christ is not necessarily one person, but anyone who denies the deity of Jesus the Messiah. The anti-Christ can be found in religions that claim to be “Christian” or “Christian-based”, but at their very core is a vehement denial that Jesus was and is God (e.g. Jehovah’s Witnesses and Mormons). I would encourage anyone who claims to be a Christ-follower to KNOW HIS OR HER BIBLE, and not just rely on what he or she is told by others. These other religions prey on so-called Christ-followers who know absolutely nothing about the Word of God, but instead blindly follow false shepherds like lambs to the slaughter. Powerful posting. So many focus on the coming of the “anti-Christ” but fail to realize that the spirit of the anti-Christ is and has been here. Thank you so much. I remember when I began writing this post a nine year old girl had been raped and murdered in Springfield MO. The horror of that left me unable to comprehend how anyone could be capable of such an act. The beloved John wrote there were many antichrists already in the world, and the influence is evident not only in the chaos we see in our nation and the world but in senseless acts of violence. He is against all Christ came to do.